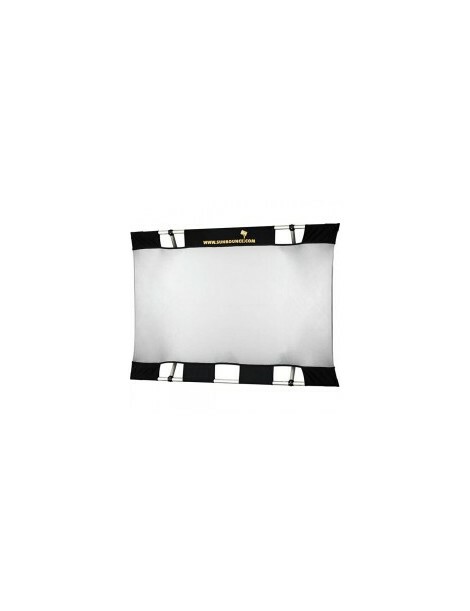 SUN-BOUNCE - MINI - Screen silver/ white (seamless) Screen. This patented, three-dimensional and collapsible frame is super light and extremely stable. The modular system allows you to combine every frame with the appropriate screen, making it a reflector, diffuser, or light blocker (shade). These special frames, made by hand from anodized aluminium, can be collapsed in seconds to fit into an approx. 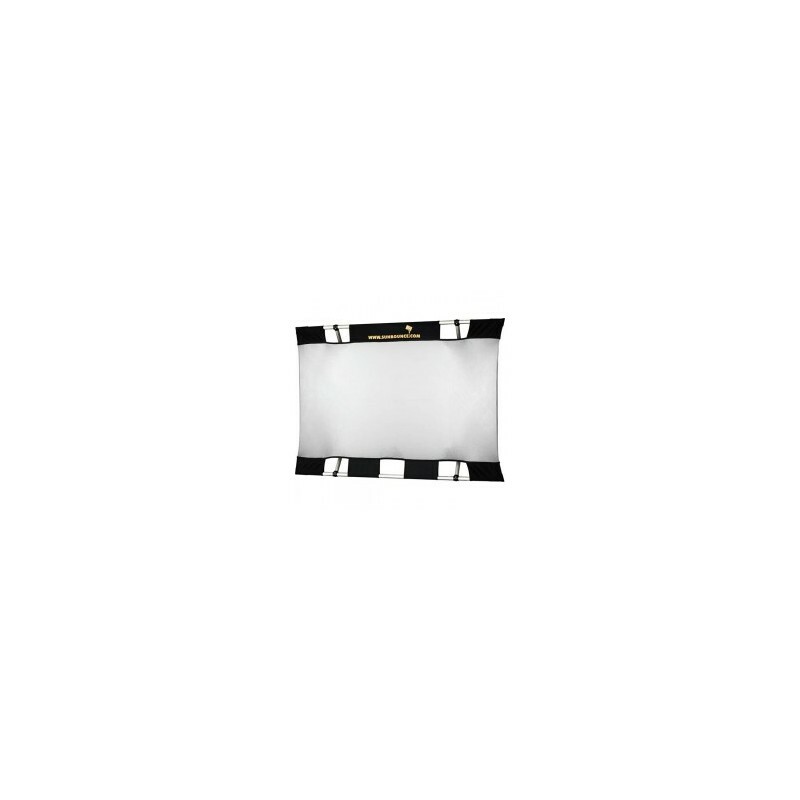 6-8cm diameter bag. All SUNBOUNCE items have a maximum length of 135cm. Thanks to the crossbar and clamp integrated into the frame, it can be held in many different ways - comforably by hand or by attaching it to a tripod.